Antirrhinum multiflorum is always a joy to find in bloom. The pale pink blossoms are out in late April and May. These tall spires of flowers would fit into many garden settings. The Sticky Snapdragon grows to 4 feet tall and wide. All of those oils that make the foliage sticky are quite fragrant, particularly as the sun shines on the Sticky Snapdragon. 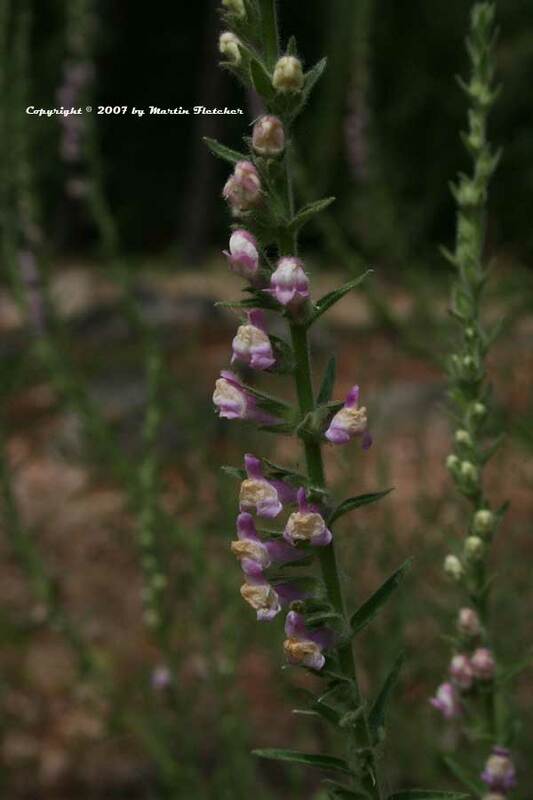 Antirrhinum multiflorum will readily adapt to native conditions in the Coast Ranges and Sierras. This a good plant for attracting hummingbirds with its long tubular flowers. The Sticky Snapdragon is a welcome addition to any hummingbird garden and is a host food for the Common Buckeye butterfly. Antirrhinum multiflorum requires decent drainage and minimal irrigation once established. Flowers and foliage of Antirrhinum multiflorum the Sticky Snapdragon. High resolution photos are part of our garden image collection.